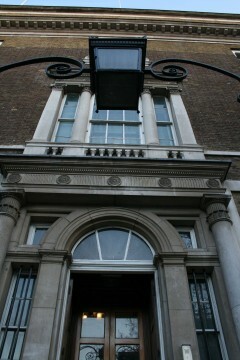 The current home of the Wales Office is Gwydyr House, based on Whitehall in the heart of Westminster. The building has had a long and interesting history since it was originally built in 1772 to house the official records of the Surveyor General of Crown Lands. Shortly after his appointment as Surveyor General of Crown Lands in May 1769, Peter Burrell had written to HM Treasury arguing that “His Majesty’s Books, Plans, Title Deeds and Surveys… were liable to casualties by Fire and to other Losses and Inconveniences by falling into the Hands of the Executors, Administrators and others on the Death or Removal of a Surveyor General; and that real Losses had happened both to the Crown and to the subject, for want of a regular office where these valuable muniments ought to be kept”. The solution that Mr Burrell suggested was to build himself a new house in Whitehall where the records of his office could be safely kept. After negotiations, he secured the present site of Gwydyr House. The cost of the building was thought to have been upwards of £6,000. It is thought that work started on the building in 1772 and was completed by the time Peter Burrell died in 1775. From its very early days the pressure for additional accommodation was felt at Gwydyr House. This could well have been due to Mr Burrell’s intention that domestic use and office accommodation should be combined within the building. It would seem that this pressure continued when his son (created First Lord Gwydyr in 1796) held the office of Great Chamberlain of England. By 1799 a substantial extension had been made into the garden to the East of the building. This was followed by an extension into the South-side garden in 1803. Following Lord Gwydyr’s death in 1820, the house had a phase of domestic, family use ending with the occupancy of the Sixth Duke of Leeds, Master of the Horse to King George IV. The house appears to have been unoccupied by 1835 and, following temporary occupation by the Reform Club, was rented for Crown use in 1842. Amongst the earliest official occupants were the Commission of Fine Arts, the Commission of Revenue Inquiry and the Commission of Slave Compensation. The Commission of Slave Compensation was one of the more controversial outcomes of the abolition of slavery. It was established in 1833 following the decision by the British Government to set aside £20 million to compensate planters, slave traders and slave owners for the abolition. Today that figure would equate to £2billion – but nothing was ever awarded to a former slave. A commemorative plaque in reception marks the bicentenary of the Abolition of the Slave Trade Act of 1807. Later in the nineteenth century Gwydyr House was occupied by the Board of Health, the Poor Law Board and the Charity Commission. All made severe demands on the restricted office space and resulted in a series of extensions along the south side and to the rear which more than doubled the size of the original 1772 house. The most significant extension came in 1884-5 when the Charity Commission appointed John Taylor, the Office of Works’ architect, to design an enlargement of Gwydyr House, adding a full attic storey on top of the main building. The final major changes to Gwydyr House happened in 1938 when the neighbouring Ministry of Defence building was completed. During the clearing-up operation it was decided to remove the rear extensions of Gwydyr House which jutted onto Whitehall Gardens. At the same time within the building the floor was re-laid, a new passenger lift was installed and many changes to modern partitions were made. Gwydyr House has remained in this form to the present day and has been occupied by the Welsh Office, now the Wales Office, since the summer of 1971. As the UK Government Department that represents Wales in Whitehall, the Wales Office believes that its main London building should showcase contemporary Welsh art. With this in mind, the Arts Council of Wales was approached to source some work by contemporary artists who were recent graduates from Art Schools in Wales for display at Gwydyr House. The current display features a collection of work by graduates from Coleg Menai, Bangor and UWIC in Cardiff.